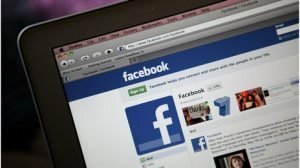 «УКРАЇНСЬКА Facebook-РЕВОЛЮЦІЯ?» / Ukrainian Facebook-Revolution? The Euromaidan phenomenon of is the most remarkable subject of political, social and culturological research into the Ukrainian life in the end of 2013 – the beginning of 2014. Understandably there could be numerous research methods applied to examine it. We focused on the role of social networking in shaping public opinion and mobilizing mass support, and their function as the protests’ communication vehicle. The format of this research is the expert poll of opinion leaders of the Ukrainian segment of Facebook, Twitter and Vk.com. The research was conducted as a part of Natalia Zorba’s Ph.D. sociological dissertation on the role of social networking in political communication. Co-authors cooperated on creating the structured questionnaire and the research methods. Natalia Zorba communicated with the majority of respondents. Our survey was a private initiative and had no outside support. As such we tried to formulate its purposes in a way were two people could easily manage it. Our survey mirrors the situation during November 2013 – January 2014. Conflict between Euromaidan and the regime was still peaceful (prior to the events on the Hrushevskogo Street), but still the precariousness and the drama of the situation was felt throughout. A lot of experts, initially chosen as respondents, refused to take part in the survey. They were afraid of political persecutions for participation and organization of protests. Some of them were injured by militzia (police) just as we were negotiating their participation in our research. One of the experts was even put on the wanted list and the contact with him was lost. The likelihood of finishing the research or even gathering representative data seemed doubtful. On January 16th, 2014, the “dictatorial laws” were adopted by Ukrainian parliament. All of our respondents as well as the researchers themselves faced the risk of criminal prosecution. Nevertheless, we did everything that was possible to continue our research. And we are very grateful to our respondents. Preliminary results of the survey were published in the Russian-language edition of German “Forum of Contemporary East European History and Culture” (Forum für osteuropäische Ideen- und Zeitgeschichte) (Кирилл Галушко, Наталья Зорба. Социальные сети на фоне Евромайдана: первые результаты экспертного опроса конца 2013 – начала 2014 гг. // Форум новейшей восточноевропейской истории и культуры. – Русское издание. №2, 2013, С.84-89; [http://www1.ku-eichstaett.de/ZIMOS/forum/docs/forumruss20/08Galushko.pdf]). We express our gratitude to Andreas Umland for his contribution to this publication. Some data from this research was cited in the US media (How Ukraine’s EuroMaidan Revolution Played Out Online by Carola Frediani // Techpresident.com, Friday, February 28, 2014 [http://techpresident.com/news/wegov/24790/how-EuroMaidan-play-out-online]) and it was also used while producing pieces about Ukrainian events on CNN. In January 2014, there were about 17.8 million Internet users in Ukraine (http://www.slideshare.net/rkaspirovych/201401-gemius-audienceoverview). The audience of Facebook and the online-TV grew considerably as the result of Euromaidan. For example in October 2013, only 29% of Ukrainian internet users visited Facebook comparing to the 61% of users who visited Russian site VK.com. By January, 2014 the audience of Facebook.com grew toto 32%. Traffic to the news sites grew as well: in January 2014, 51% of users visited them and it’s a 5% increase from before the protests started (46%). As Gemius highlights, “Users spent 3 hours and 3 minutes following the latest news and this is twice as much as they spent in October 2013 – 1 hour and 31 minute”. In spite of their numerousness (see analysis below) there were no surveys similar to ours. No one had analyzed the connection between the social networking and the protests. It makes our empirical material unique and it could be used in further studies. During December 2, 2013 –February 3, 2014 nine surveys were conducted by five sociological companies. They had two main purposes: One – was to show the portrait of Euromaidan; and Two – how Ukrainians assess the situation in general. Time period: December 2013 – January 2014. Accordingly, the research covers the events in the end of November 2013 – the beginning of January 2014. This was the peaceful period of protests. Farther events were unknown to our respondents. to compare events of 2004 and 2013-2014 and estimate the role of communication vehicles in raising and mobilizing citizen activism. Realization of this task will enable the study of the role of social networking and will attempt to measure their influence on modern Ukrainian society. Also it will make possible further research into the problem of using social networking in the political communications. The research was conducted by expert poll via «face-to-face interviews» and «online», using the structured questionnaire. Some interviews were conducted telephonically. According to the chosen methods we concentrated on collecting estimates and opinions of the respondents, not the objective data. This approach allowed us to acquire absolutely new information about the problem being investigated. The selection of the targeted respondents was arranged using the method of “snowball”. 85 experts were invited to take part in the research (opinion-leaders of Uanet), but only 24 participated. The most popular reasons of refusal were: the complicated questionnaire, the lack of time, and fear of political persecution (53 experts). Three experts could not take part in the research because of force used against them. Five experts didn’t give a reason for refusal. The experts age was between 25 and 60 years. 50% of the experts were about 36-45 years old. 58% of them have a college degree; 8 % have two college degrees, and 13% have advanced degrees. Our experts are the renowned opinion leaders: 67% of the respondents are journalists, 33% are political observers and experts, analysts, and political consultants, 16% are creative directors and writers, 4% are businessmen, 4% belong to higher management, and 4 % are lecturers and politics. 23 respondents do not belong to or support any political party. One expert is the member of “Batkivshchyna” party. 92% of the experts think that parties do not reflect the interests of Ukrainian society, 8% think that they rather reflect than not. 75% use Russian language in their posts and comments, 25% use Ukrainian. We counted as Russian-speaking the 3 experts who use both languages, but the Russian prevails in their writing. Ukrainian-speaking experts use Ukrainian only. Questionnaire did not contain question about nationality or ethnic origin. Facebook is the only social networking service where all the experts have accounts. Some of them also use Twitter, VK.com, Google+, Instagram, LinkedIn, LiveJournal. The number of regular subscribers for these experts are about 244 000. The number of occasional readers ad hoc is about 285 000. While the experts audiences overlap each other, the total number of readers is about 530 000. Facebook is the most popular social networking site among the experts. The number of experts’ subscribers is about 149 000, the number of readers ad hoc – 152 000. Total size of audience is 301 000 (about 5% of all Ukrainian Facebook users). 8% of experts did not give information, as it could harm them. 96% of respondents clearly stated their position on supporting or not supporting the Euromaidan for their readers, 29% regularly took part in public actions and meetings, 21% – participated sometimes, 17% highlighted the events, 8% arranged the events, 4% wanted to take part, but could not. 4% ignored all the events and 4% were strongly against them. 13% of respondents declined to answer. Facebook: The experts rated the social activity of this network as 4.4 points on the 5-points scale, political activity is 4.6 points. The largest age group is 36-45 year-olds, after that in decreasing order – 25-35 years, 46-55 years, 16-24 years, 56-60 years, 61 and up. Twitter: Social activity of this network is rated 2.8 points on 5-points scale, political activity is 4.2 points. The largest age group is 36-45 year-olds, after that in decreasing order – 25-35 years, 46-55 years, 16-24 years, 56-60 years, 61 and up. vk.com: Social activity of this network is 2.8 points on 5-points scale, political activity is 2.5 points. The largest age group is 16-24 year-olds, after that in decreasing order – 36-45 years, 25-35 years, 46-55 years, 56-60 years, 61 and up. The experts, who took part in Euromaidan (no matter “for “or “against”) expressed their attitude toward political parties (not counting the actual membership): 42% categorically denied supporting of any of them, 25% recognize that their opinions could have been used by some of parties, and 8 % acknowledge they could have been supported by the activists of certain parties or organizations, 4% were the speakers of specific party, 21% declined to answer. Experts were asked about the origins of civic protests in Kyiv – whether they were public non-party initiative or the result of the political party activities. Half of the respondents claims that the protests were civic initiative and that politicians just joined them. Some experts (29%) characterize both “the political parties” and “the public” as equal sources, as they started protests separately and indirectly. Minority of the experts (8%), think that protests were strictly the result of party activity and another 8% consider it a symbiosis of civic and party initiatives. 79% of the experts versus 17% claim that non-party affiliated civic activity is more valuable for Ukraine today than party membership. 4% declined to answer. There are no proper political parties in Ukraine in recognized, European meaning of this word. The existing political culture in Ukraine does not allow for direct and financially independent involvement of citizens in the political and party activity (except Communist party or “Svoboda”). At the same time, without the professional politicians, such as current parliamentary opposition, the protests do not have any chances for victory. Only the structured society produces proper political parties. Our society must become structured in order to “birth” those new ideological parties. Very few people are affiliated with current political parties as they do not have any authority in the society. There are no true ideological parties in Ukraine, instead the ideology of the democratic society grows among unaffiliated free from “leader mania” citizens, who are not burdened with the legacy of the present-day political process, in which politics is closely interwoven with businesses and the oligarchs. Any party activity is just the imitation nowadays. The entire political party system in Ukraine needs a reboot. Existing parties were formed as a result of the post-Soviet transformations and they do not reflect current socio-economic realities and don’t meet the needs of today’s, they don’t unite or represent the most economically and intellectually active parts of the society. In order to initiate the civic activity there have to be a political institutionalization first. New parties are needed or, at least, the complete transformation of the existing ones. Political parties should rely on support of civic organizations and represent their interests on political level. Reporting positions and providing information on professional activity to the readers. Helping the readers to hone their attitude to the events and its participants, by pointing out the important facts and events that could have been lost otherwise. Role of the “Opinion maker”. Spreading the optimism, the new ideas, and the ability to respond quickly to the needs of today. Activating work of journalists and coordination of analytical groups. Social networking services widen readership. Social networking services allow for bringing expert opinions to the readers in the form of short posts. Posts and comments in turn become the testing ground for large analytical texts. Enlightenment of the intelligencia and the intellectuals. Defining of the position : half of the country do not understand the purpose of Euromaidan. Attempts to define and forecast Ukrainian future. Consolidation of certain number of civic organizations and arranging some intellectual events. Spreading urgent information, creating meanings, formulating political order of the day. “By reporting the location of Dmytro Bulatov (activist of Automaidan) I have began the action, even though that was not my initial goal. People gathered at the “Boris” clinic and pressed the investigators, who wanted to serve a warrant”. “More people get honest information, more people paid their attention on the events and even changed their opinions after reading my texts”. 63% of the experts used social networking services to mobilize (participatie\ignore\deny) well-known Euromaidan events, 25% did not. 8% declined to answer since their information could have been used against them. The experts’ evaluation of their influence on the public opinion in the context of Euromaidan is this: 58% discovered that audience started to more actively express their opinions of the events, 17% claim that they did not try to influence public opinion, 4% saw growing interest, but did not see it dispayed. When asked to evaluate the level of participation of their core readership in the public protests, 58% of respondents admit that their opinion was just an added motivation, and the audience would have participated anyway. 29% acknowledge the direct influence of their posts on the activity of the audience. 13% declined to answer. Facebook, as 83% of experts agree, played the biggest role in mobilization of protest activity, Twitter is at the second place according to 21% of experts, and the vk.com – at the third one (4%). For 17 % of experts it was hard to answer. For ages 61 and older – Facebook (1,4), Twitter (1,3), а vk.com – 1. Experts compared the events of 2004 and 2013 and evaluated the role of communication methods in mobilization of civil activity, using 1-5 scale, where 1 – is the smallest role, and 5 – is the largest. We have to point out the relative unchanged role of the radio (2.6 in 2004 and 1.9 in 2013), the declining the role of TV (4.3 in 2004 and 3.9 in 2013) and print media (3.5 in 2004 and 2 in 2013). On the other hand the role of internet news-sites has grown,from 4 in 2004 to 4.4 in 2013. The growth of influence of social networking services is remarkable – from 1.4 in 2004 to 4.8 in 2013.As the result the internet new-sites and the social networks had replaced the print media and television. Experts pointed out the influence of gossips (4 points both in 2004 and 2013) and the online-TV (1 in 2004 and 4.5 in 2013). It follows that the online-TV is in the second place after the social networking services. Experts estimated the place of different media in providing necessary information that was relevant for them perconally. They used the scale, where 1 means the most important and 5 – the least important. Social networking services got the highest point – 4.8, news sites – 4.6, TV – 2.6, radio – 1.4, print media – 1.4. Also experts separated the role of insider information and online-TV. During the events of 2013 100% of experts increased their audience, received more subscribers and “friends”. 21% of the experts noted that their audience multiplied, 50% – noted significant expansion, 25% – slight expansion. 100% mentioned the increase in reposts and “likes” since the start of Euromaidan: 50% – in several times, 25% – significant growth, 21% – slight growth. Before the Euromaidan the regular expert post had 61 “likes”, 19 reposts and 2-3 foreign language translations in average. During the events of 2013 posts received 220 “likes” and 61 reposts on the average. The record posts received on the average 1033 “likes” and 911 reposts, some even reached 2500. The amount of translations grew as well (up to 20 for one post). Also we measured the popularity of experts among experts: who is opinion leader for the opinon leaders. Roman Shrajk (33%), Mustafa Nayem (29%) and Yevhen Kuzmenko (25%) were the three most popular experts. After them it’s Andrij Bondar (13%), Yuri Romamnenko (13%), Karl Volokh (13%), and Andrij Chernikov (13%). 13% of experts didn’t provide this information out of the concern for their own and the experts’ safety. Specifial attention was paid to the social networking pages that posted thoughts, requests, recommendations which were followed by our respondents. These are the Facebook accounts of groups Euromaidan (21%), Euromaidan SOS (17%), Automaidan (17%), Mustafa Nayem, Motor Rally to Mezhyhirya, Gromadske radio, Gromadske TV, We are Europeans, I hate Ukrautodor, Anti-Corruption Center and so on. 8% of the experts did not follow any other accounts, 21% declined to answer out of safety concenrns. 46% of respondents think that in the end the Euromaidan developed a well-organized and clearly structured system of information dissemination in the social media. 42% are sure that this is the result of personal initiatives and groups of activists, which had no guidance and didn’t coordinate their action. 13% did not answer. 50% pointed out the appearance of new authors who unexpectedly became the “stars of social networksduring the end of 2013. These are Olexander Aronets, Sergiy Koshman, Anatoly Shary, Dmitry Bulatov, Andrij Plahonin, Borys Filatov, Lesja Orobets, Ivan Semesyuk, and Karl Volokh. 55% of the experts think that author should have personally participated in street actions to have gained increased authority. 21% do not see the need in personal participation in any actions, 24% did not answer. 83% of respondents are positive that their accounts are monitored by the security services or the law-enforcement agencies. 17% declined to answer. 42% declared that they know about the cases of the administrative or criminal prosecution of the Ukrainian citizens for their posts or comments in social networking services on the political or social topics. Experts usually mentioned precedents with Catherine Korotchenko, Olexander Mikhelson, Olexander Aronets and Automaidan. 25% of respondents think that offensive posts about politician oractivists, or other public figures could be the grounds for legal persecution. It might be motive for judicial protection of honor and dignity, the same as publications in print media. 29% disagree with this as they claim that the social networks are the space for uncontrolled and unprejudiced opinion statements. 37% claim, that persecution for offensive post is impossible, unless the post confirms the insults in non-virtual reality. Experts also commented the problem of reinforcement of electronic-control and electronic-influence on the state by the public (e-governance, questionnaires, obligation to react to online-petitions and so on). 37% think these projects might be realistic, 37% doubt it as the Internet is not that widespread in the Ukrainian society. 17% of the experts consider these project utopian. 46 % of the experts claim that social networks could be seen as key factor in forming the civil society in Ukraine. 25 % of experts think that rather not. 17% pointed out that the statement is wrong: networks are the communicative way only. It is obvious, that in future the correlation and comparison of our data and data of other larger, more repersenative researches will be necessary. We hope that our attempt will be of interest to scientists as it is unique as the data was collected during the events, and our survey is one of the first practically exclusive studies into Euromaidan. The results are already presented at the different conferences and seminars, focusing on documenting and analyzing the data on the history of Euromaidan. We try to use our data in new research programs. ‘Experts’ on Ukraine: All Hands on Deck!